« Wonder Woman is RE-Tooling her Look! That’s right girls! Be subtle, but add a splash of brilliance with color, textures and sparkle! It does work! Yesterday I had a job interview….which I dreaded, but needed to pull it off. So, I put on that favorite black dress, (because it fits properly and looks professional) but I added a bright red pair of heels to finish off the look. I wore a couple of bangle bracelets I forgot I had……then sweep my hair up into a 1960’s french twist. I felt like I was up-to-date fashion wise, looked presentable and felt good when I looked into the mirror……… My first instinct was to go out and buy an whole new outfit, but I didn’t and I couldn’t anyway….. but I created a new look of my own, I felt good about it and it was fun, too! Take a good look in your closet…..there lies a new you!!! 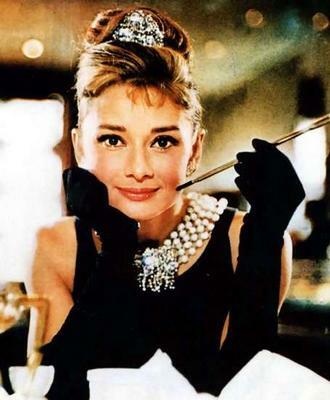 Audry always inspired. Classic is timeless.